Gatlinburg, TN – Thursday, April 11, 2013 – Ole Smoky Apple Pie Moonshine™ has been honored with two of the American Distilling Institute’s Best of Class awards in the Moonshine and Flavored Moonshine categories. The 40 proof spirit was judged among 317 artisan American spirits at Huber Orchard and Winery in Starlight, Indiana, March 4-5, 2013. Beating out 36 other moonshine brands Ole Smoky Apple Pie Moonshine™ won the Best of Class Gold Medal for Flavored Moonshines and Best of Class Moonshine for the entire category. The ADI award represents the second industry award for Ole Smoky Tennessee Moonshine in 2013 following the recent Rising Star Award win from the Beverage Information Group. An authentic American brand located in the heart of Appalachia, Ole Smoky Tennessee Moonshine attributes its remarkable growth to strong community ties and a tradition rooted deeply in the 200-year-old art of distilling quality moonshine. Founded in 2010, when the state of Tennessee first legalized the commercial distillation of moonshine, the company has since grown to become the proud creator of more than 100 local jobs and a major tourist attraction in the Great Smoky Mountains. About the American Distilling InstituteThe American Distilling Institute was founded in 2003 to promote the burgeoning craft distilling renaissance. For more information about the Institute please visit www.distilling.com. About Ole Smoky Tennessee MoonshineCurrently, Ole Smoky Tennessee Moonshine retails six flavors of moonshine made from local East Tennessee corn, then manufactured, bottled and shipped directly from the company’s famed Gatlinburg distillery. The Ole Smoky Moonshine distillery, known as The Holler, is America’s most visited distillery and produces the brand’s signature 100 proof Original Moonshine, White Lightnin’™, Moonshine Cherries™, Peach Moonshine™, Apple Pie Moonshine™ and Blackberry Moonshine™. 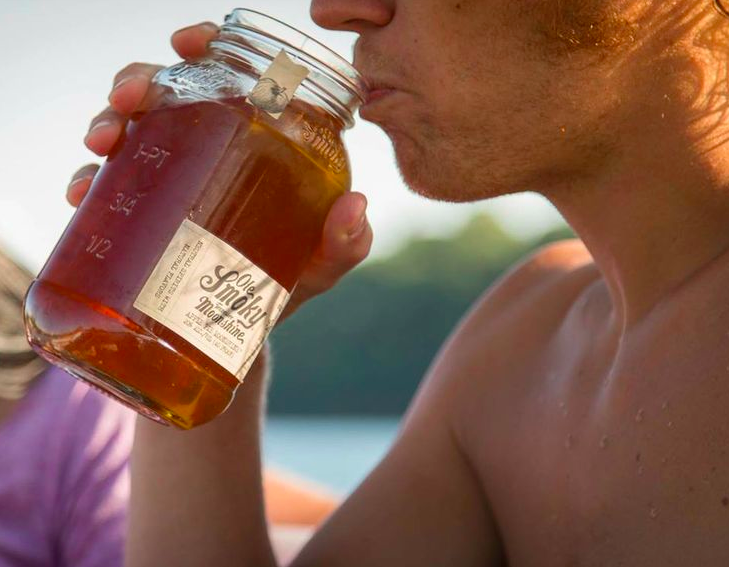 In true southern style, each Ole Smoky Moonshine flavor is inspired by the hand-crafted recipes of the Tennessee families who have been bottling moonshine in the smoky mountains for more than a century. Available in 48 states, Ole Smoky Tennessee Moonshine can be found at local retailers and is sampled and sold at some of the biggest music and sporting events in the country. For more information about the brand, please visit www.olesmokymoonshine.com. To receive product images, recipes or to schedule an interview with key executives please contact Drew Tybus via email at Drew.Tybus@PorterNovelli.com or (212) 601-8327.